Monachyle Mhor is a small hotel in the Trossachs near Balquidder. It has a great reputation for its food and we’d seen Tom Lewis, its owner and chef, do an impressive cooking demo at a food festival in Edinburgh. We’d thought about going there for a while but our mind was made up when our daughters, who had enjoyed a night there, gave is a voucher as a present. 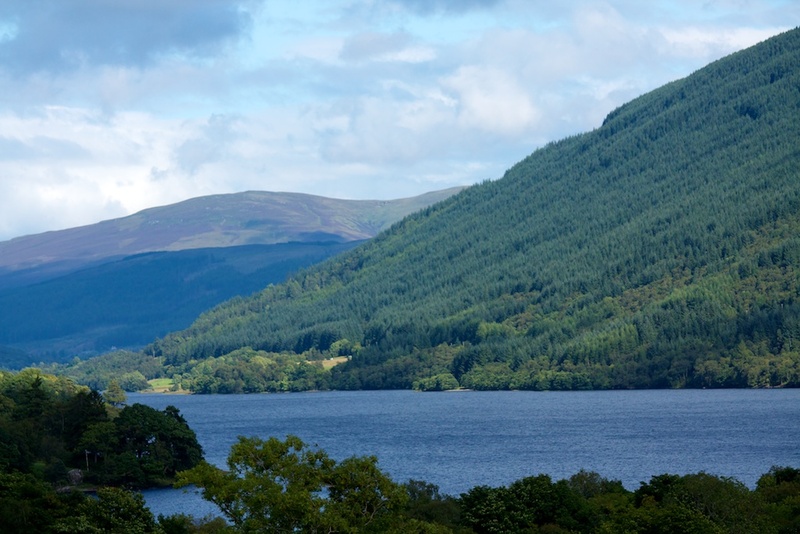 The hotel is in a lovely setting at the head of Loch Voil. We arrived in sunshine, had a short walk then joined the others on the terrace for a pre-dinner drink and very nice canapes. 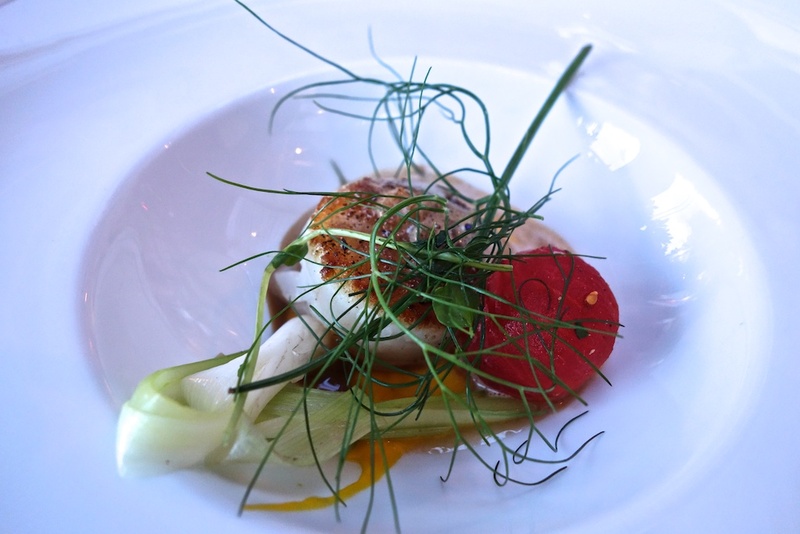 The food at Monachyle Mhor is best described as modern Scottish cooking. There is a focus on local ingredients and, while the food is beautifully presented, it isn’t gimmicky and doesn’t put together bizarre combinations of ingredients. 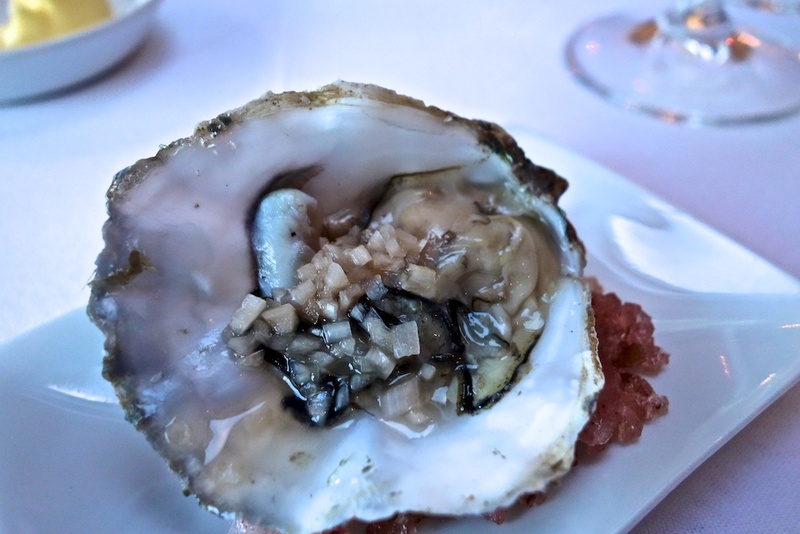 Dinner on our first night started with an oyster as an amuse-bouche and then I had a beautifully cooked scallop as a starter. Then there was an ‘in between’ course which I always think is a wee bit pretentious but in the case it was superb. 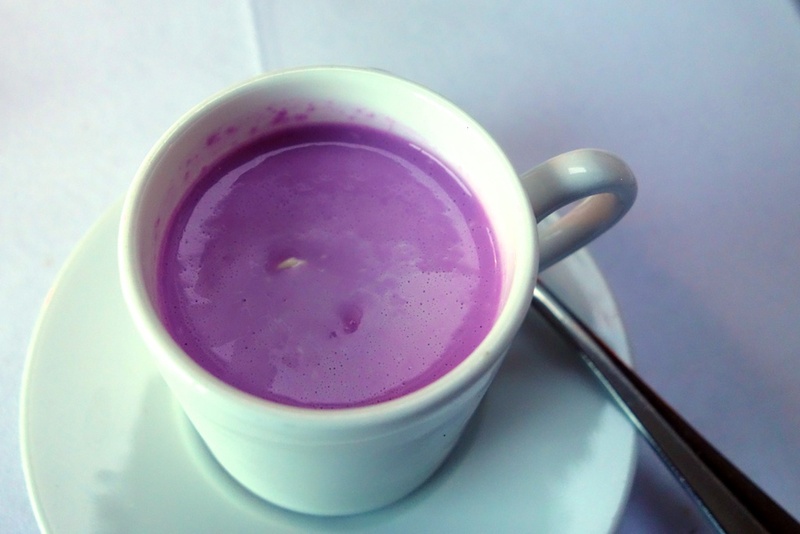 This was a coffee cup of red cabbage gazpacho – sounds horrible but it was creamy, delicately flavoured and really unusual. 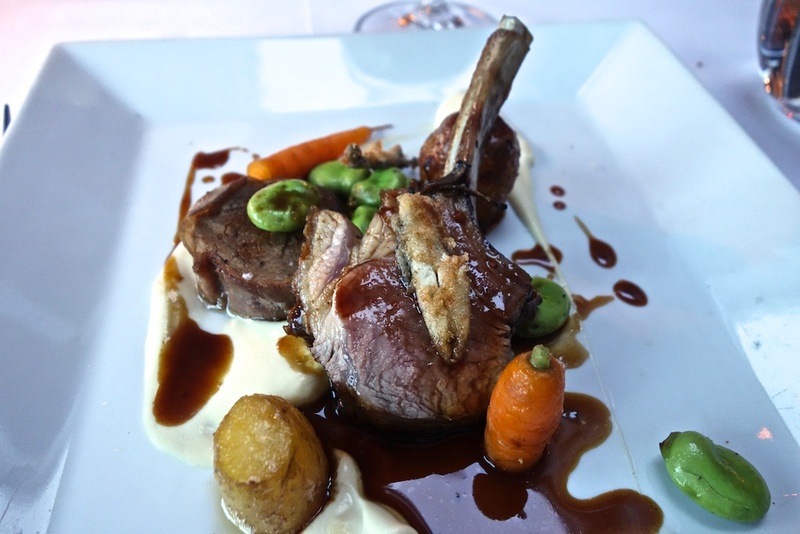 My main course was lamb with broad beans – again perfectly cooked and presented with the lamb nicely pink. Anchovies were an unusual addition to this which added a subtle saltiness to the dish. 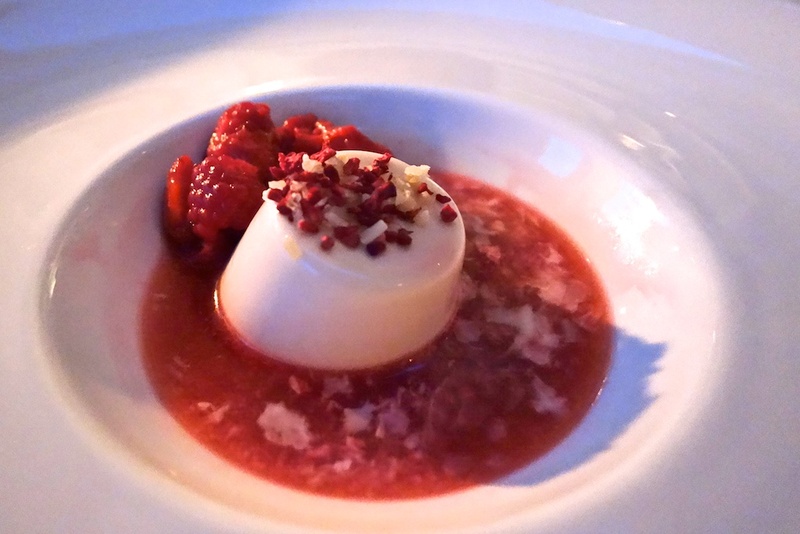 There was a short pudding menu and I chose Tonka Bean panna cotta (I don’t know what Tonka Beans are) with berries. It was fine but perhaps the weakest part of the meal. However, my wife proclaimed her chocolate pudding to be outstanding. We finished with coffees and petits fours – Scottish tablet and home-made mint chocolate. 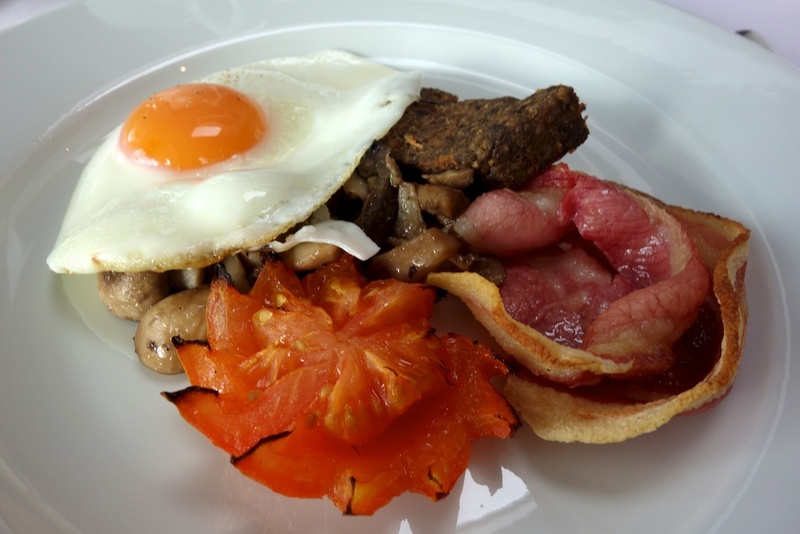 Breakfasts are quite conventional but the quality of the ingredients shines through. 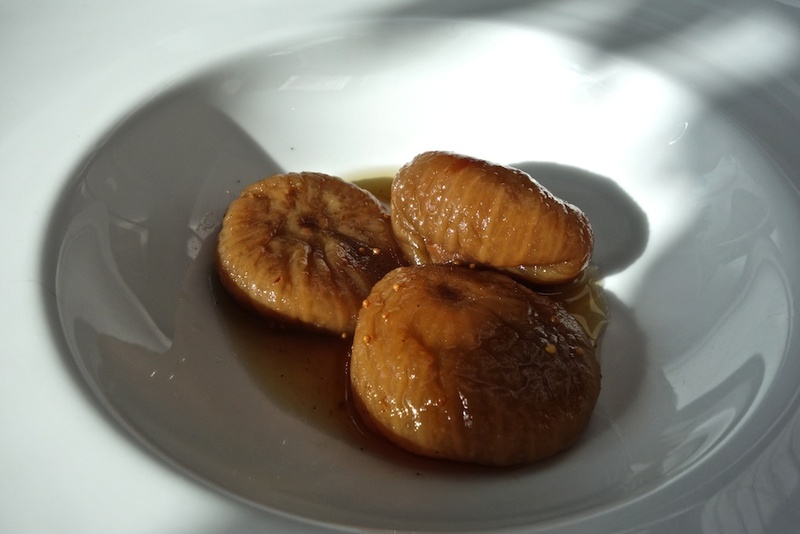 I had figs and a full Scottish breakfast, with perhaps the most luscious egg yolk I have ever seen. Unfortunately, Saturday was wet so we decided to drive to Aberfeldy for lunch at the Waterwheel Bookshop and a wee bit browsing. The weather improved a bit so we headed back to the hotel via Fortingall and Glen Lyon. Dinner tonight followed the same model as yesterday but with some menu changes. 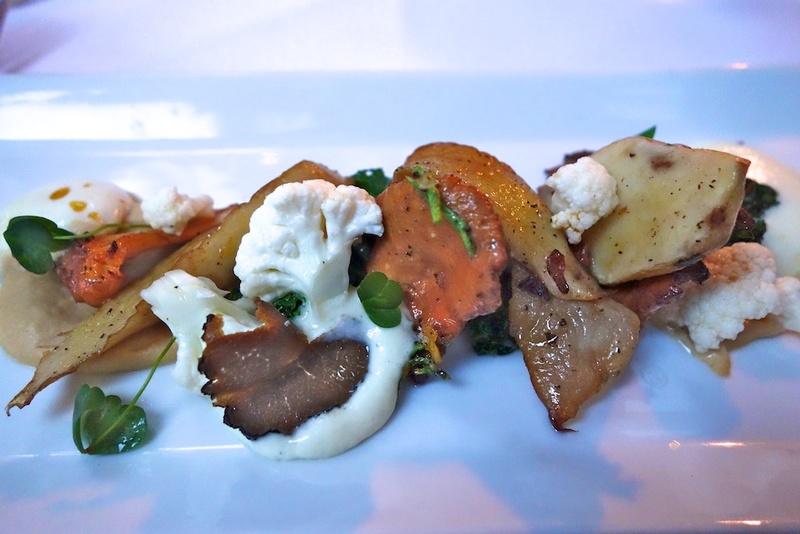 My starter was Balquidder chanterelles with cauliflower puree – these were fantastic – the highlight of the meal. My main course was moist and succulent local venison – no pics as it was getting too dark in the dining room. I finished with cheese as the sweet menu hadn’t really changed and I prefer fruity to chocolately or creamy puds. 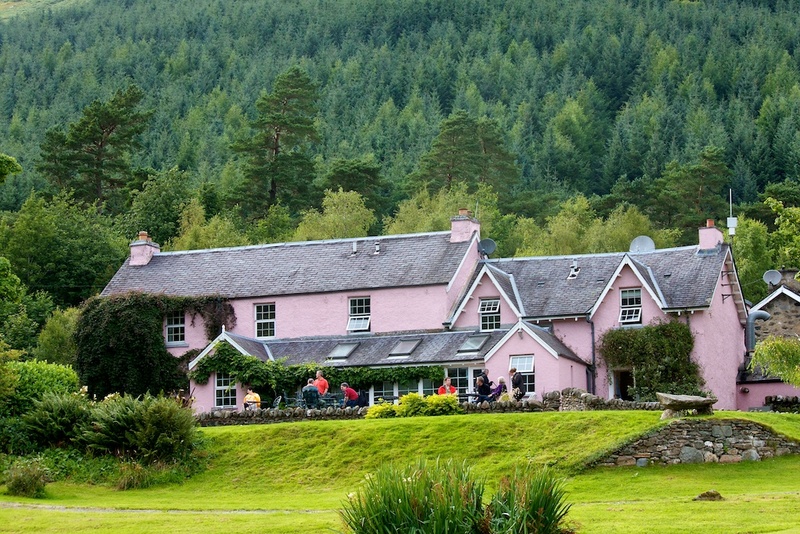 Monachyle Mhor is a special occasion place and is popular for birthdays, anniversaries and so on . It isn’t cheap – £295 for dinner, bed and breakfast. But the hotel is stylish and comfortable, views are great, and the food certainly lived up to its reputation. The staff were friendly and the service was fast and efficient. The wine was reasonably priced but it would have been good to have had some more real ales in the bar. We’ll certainly try and go back sometime.